Have a question about Rice Protein Powder? What is it, what does it do, how and when to use or something else? Ask us. ALLERGEN INFORMATION: Contains no preservatives, additives or dyes. After opening, keep tightly closed in refrigerator or other cool place. 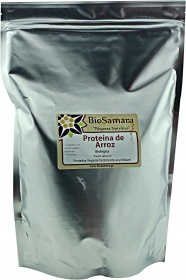 Use in smoothies or mixed with juice or yogurt, or warm soup and vegetable pates. 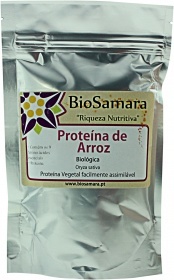 WARNINGS Rice Protein Powder : According to EU regulation, natural products and foods are not approved in prevention, cure and treatment of diseases, thus they are not allowed to make health claims or nutritional unproven or authorized by the EU on product packaging. Superfoods and nutritional supplements do not replace a varied and balanced diet.